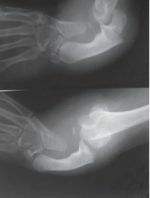 Volume 2 | Issue 2 | JOCR April – June 2012 | Page 21-23 |Schuh A, Thonse CN, Schmickal T, Kleine L.
Introduction:Simultaneous bipolar dislocation of the clavicle is uncommon and unusual, although it has been documented as panclavicular dislocation, floating clavicle, and complete dislocation of the clavicle. 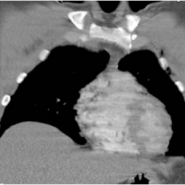 A review of the recent literature indicated that most bipolar clavicular dislocations have been treated non-operatively. Case Report:We report the case of a 23 year polytrauma patient with bipolar dislocation of the right clavicle. Patient presented to us 2 weeks post injury and had an unstable corao-clavicular joint. On radiographic assessment a simultaneous dislocation of the coraco-clavicular and sterno-clavicular joints of right side was diagnosed. In view of the unstable condition of the right clavicle, young age of the patient, requirement of high physical activity a decision for operative treatment for clavicle dislocation was taken. 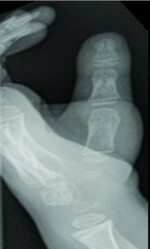 Patient was treated surgically with open reduction and tension band wiring with good result. Conclusion: Although bipolar dislocation of the clavicle are rare a high index of suspicion will avoid missed diagnosis. Open reduction and internal fixation is a good option in young patients and gives good short term result. Keywords:Bipolar clavicle dislocation, open reduction, Tension band wiring.